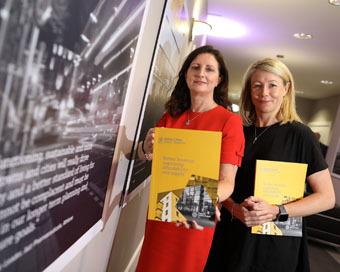 Ibec, the group that represents Irish business, launched a new national campaign – Better Lives, Better Business championing new policies across four key pillars – housing, infrastructure, planning and sustainability. Pictured at the launch was IBEC President Edel Creely and Clodagh Logue of Fitbit. (Julien Behal Photography).